Point of View and Pinterest Link Party! I mentioned last week that my Point of View project for this month is one of my top five favorite things I've ever made. This bag turned out better than I ever could have imagined. I adore it, my oldest daughter loves it, and my youngest was so jealous of her sister's bag that I had to make another one (and I changed up the hair on the second applique. I'll share the second bag next week). The applique was inspired by two Pinterest pins... a painting of a Fisher-Price Little People girl and this cute applique how-to. The tote bag itself is just a larger version of my Reusable Snack Bag with French Seams tutorial. Click HERE to read more about my tote bag. Today we would also like to announce Point of View theme's for April and May. April's theme will be "teacher appreciation/end of school year". May's theme will be "summer/vacation". Get your thinking caps on... we want to see what great ideas you come up with! Now it's your turn. Do you have a Pinterest project that you would like to share? We would like to invite you to join the Point of View Pinterest Link Party! It doesn't have to be a new project... 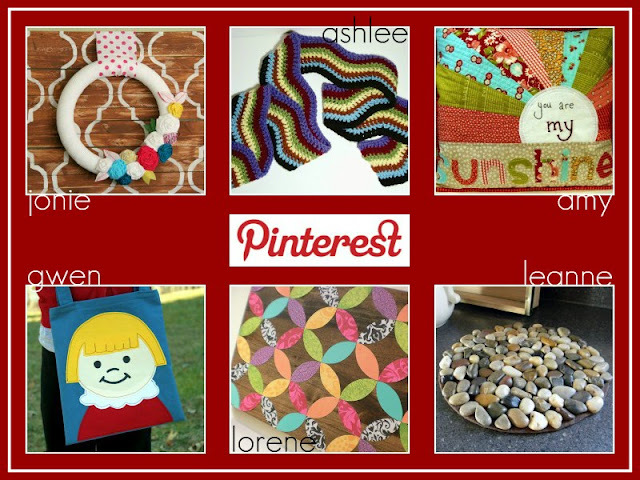 If you have a Pinterest project in your archives, link it up! We want to see what you've created. Something new this month... you can link up to the Point of View link party on any member's blog and your link will show up in the party on all of our blogs! Add the Point of View button to your post so that others can join the party. And remember, by linking up you have the chance to be featured by one of the members of Point of View next week! Oh, so cute! 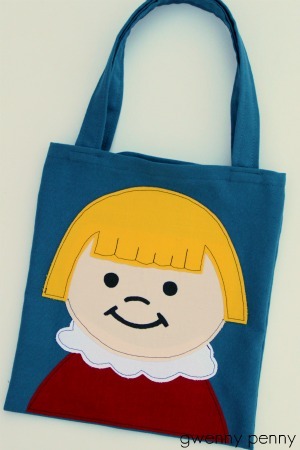 I love Little People and there's always a need for a cute tote bag. Thanks for having me as a guest! LOVE the bag! Great projects! I pinned the same little people canvases, probably from you :) I love, love, love your bag!!! Awesome job Gwen!